This is a second project we did at my Custom Cricut Class. 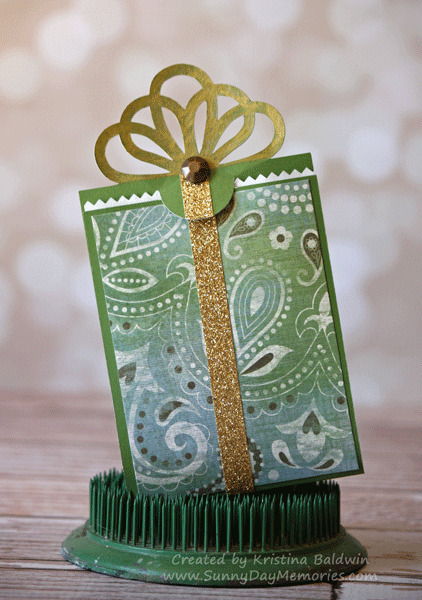 I altered the Cricut Artiste Present Card to hold a gift card by adding one of our now retired small paper bags. I love how the pinked edges create the look of some tissue paper popping out! 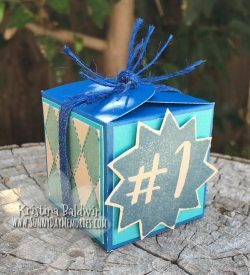 This project was super simple to come together, but was definitely favored by the group! Everyone loved how the Metallic Gold Marker really made a difference on the bow. 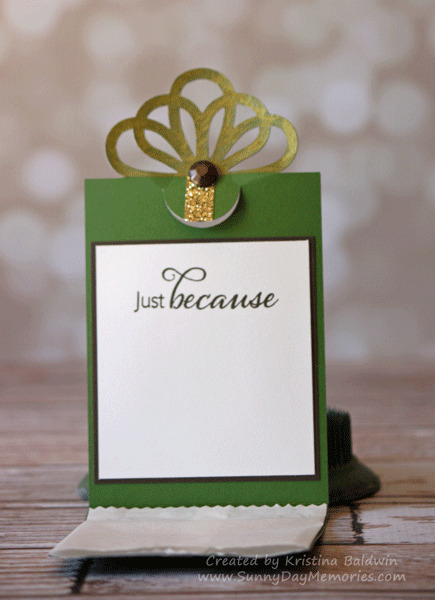 This entry was posted in CTMH Cricut Projects and tagged Cricut Artiste. Bookmark the permalink.